The sporophytes and calyptras of Funaria hygrometrica. 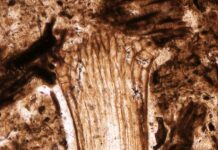 The calpytra is the gametophytic tissue that covers the tip of the elongating sporophyte. 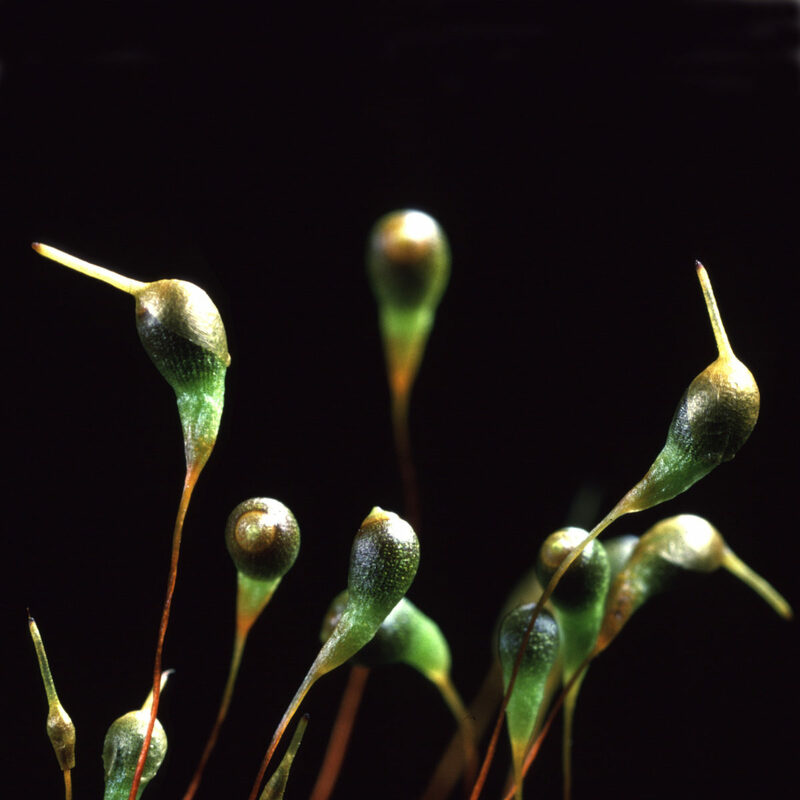 A young sporophyte with an intact calyptra appears in the lower left corner, whilst other sporophytes are in the process of shedding their calyptras or have already shed them. The calyptra is proposed to function, in part, as a maternal constraint on capsule expansion, as an expression of parent-offspring conflict. Photo: Ron Oldfield, Macquarie University. See Haig 2013. The March 2013 issue of Annals of Botany is now Free Access. 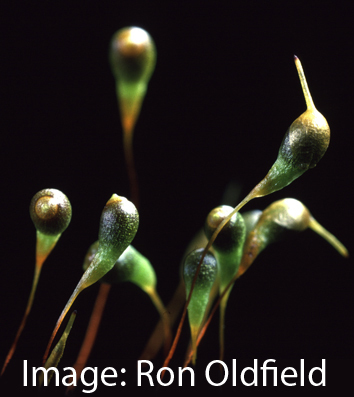 The cover image is of two generations of moss, the younger sporophytes growing from the parent gametophyte. AJ Cann blogged about this paper last year. 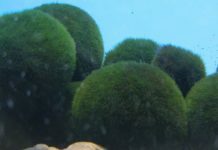 If you get confused between sporophytes and gametophytes, then you’re not alone. 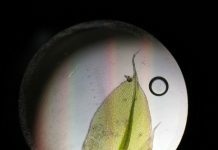 Plants alternate generations between sporophytes and gametophytes. The children of oak trees aren’t acorns, they’re grandchildren. The ‘children’ of oaks would be pollen and the embryo sacs they pollinate. 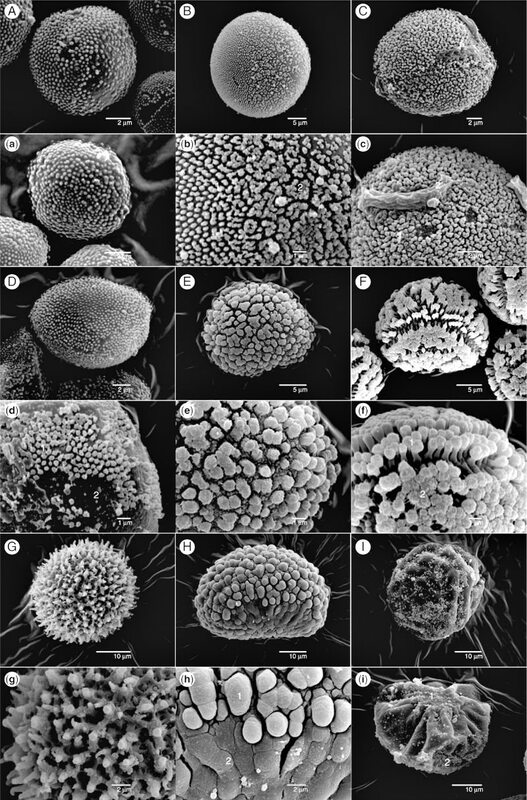 Contrary to popular belief pollen isn’t plant sperm. Next articleHow natural is your wheat? Alun is the Producer for Botany One. It's his job to keep the server running. He's not a botanist, but started running into them on a regular basis while working on writing modules for an Interdisciplinary Science course and, later, helping teach mathematics to Biologists. His degrees are in archaeology and ancient history.